Kicking off the first Retail, me? Why not. blog entry on Wednesday, May 1st. 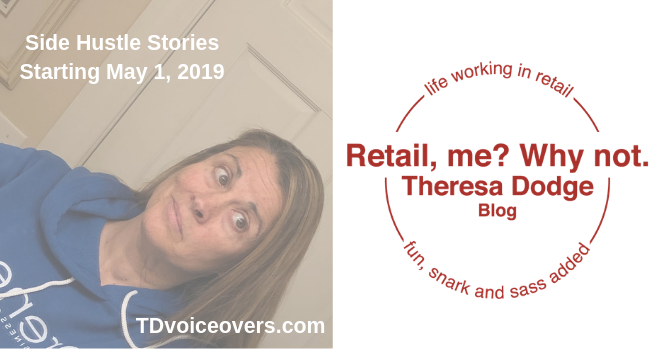 It’s my side hustle – retail employee life. Stories will be fun with added snark and sass. Let’s Put the Oldest Employee in the Junior Department? Thanks for clicking ‘read more.’ Please subscribe here/now to be reminded when new entries are posted. Thanks for stopping by…we’ll catch up later. Theresa. Email information is never shared and you won’t be spammed.